Sending heartfelt condolences to Lyn Fonzo, and to all of the Young Swan’s and friends and caretakers. 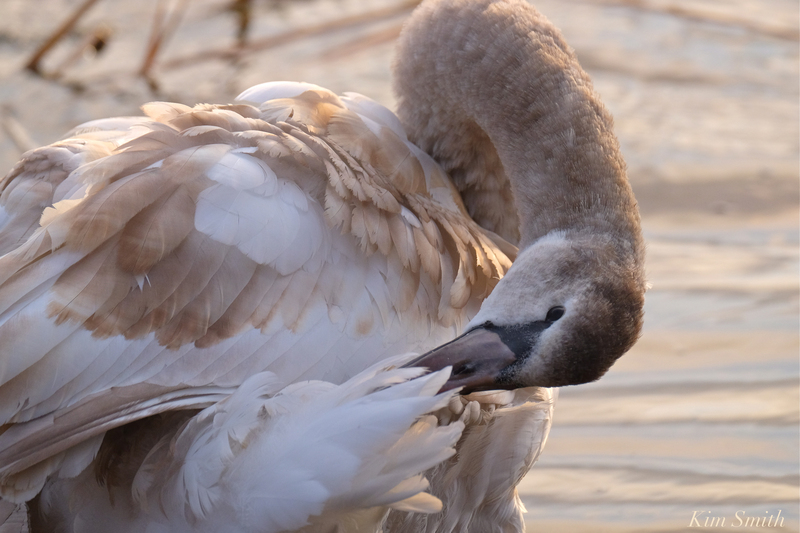 The little Swan’s leg injury became deeply infected, all the way into the bone. If you see Lyn Fonzo, please thank her for all that she has done over the past year in caring for our Young Swan and in trying to rehabilitate him to Niles Pond. Please thank and support Dr. Cahill, too, who generously donated his services. This entry was posted in Eastern Point, Gloucester, Niles Pond, Swans (Cygnus olor) and tagged Beautiful Birds of Cape Ann, Cygnus olor, Dan Harris, Joel Munroe, Lyn Fonzo, Mr. Swan, Niles Pond, Schwan, Skip Hadden, Skip Munroe, Young Swan on May 29, 2018 by Kim Smith.